And, this fact has been known for millennia. Long ago it was said "veritas odium parit"; truth breeds hatred. Which leads to "shoot the messenger". After scolding Fred Reed for his, frankly, insane support for cops nearly a year ago, yesterday I found myself squirming on his behalf when he wrote some very honest things about "The Troops", which everyone is supposed to love so unconditionally. The truth about cops makes copsuckers hate you. The truth about the government's military will make "patriots" hate (and "unfriend") you. Truth hurts those who support evil people. 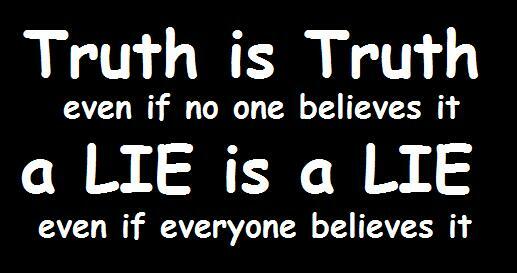 That's not to say that lies about people won't have the same effect, but lies are more easily countered with truth. If someone says something untrue about your beloved gang, just set the record straight, and that's that. When it's the truth which makes people unhappy, they have no recourse but to fall back on hatred. Well, they can lie, but lies won't get them far when people know the truth, or can figure it out for themselves. Speaking truth is worth the hatred you'll get. Or, I believe it is. You'll have to decide for yourself. I updated my CafePress stuff, just in case you're interested in promoting my writing in particular, and liberty in general. No, I don't actually make any money from this, but CafePress does, which is fine with me, and it could get me some new exposure, while making you look better and more refined.